We looked at the top 10 Food Processors and dug through the reviews from 54 of the most popular review sites including Consumer Reports, Good Housekeeping, Tech Gear Lab, BestReviews, New York Times Wirecutter, Top Ten Reviews and more. The result is a ranking of the best Food Processors. Our experts reviewed the top 10 Food Processors and also dug through the reviews from 54 of the most popular review sites including Consumer Reports, Good Housekeeping, Tech Gear Lab, BestReviews, New York Times Wirecutter, Top Ten Reviews and more. The result is a ranking of the best of the best Food Processors. With the widest range of capabilities, the Breville food processor is among the best. However, its large capacity means it's both heavier and larger, making it better suited for those who can dedicate counter space to it. DWYM Kitchen Experts plus Top Ten Reviews, Consumer Reports, Tech Gear Lab, Good Housekeeping, New York Times Wirecutter, BestReviews and 1 more. Along with user reviews from Amazon.
" This is one of the best food processors due to how easily it reduces food to a fully processed state." "Standing 18 inches tall, it is larger than most food processor, plus the container for its various blades and accessories will take up additional storage space." For kneading dough and slicing vegetables, the Cuisinart food processor excels. But given its priciness and size, it's best for serious chefs who have plenty of space for the appliance. DWYM Kitchen Experts plus Top Ten Reviews, Consumer Reports, Tech Gear Lab, New York Times Wirecutter, BestReviews and 1 more. Along with user reviews from Amazon and Walmart.
" The blades sit quite close to the bottom of the bowl, which adds to its processing efficiency, particularly when incorporating dough or sauce ingredients." "More complicated to assemble discs than others"
The KitchenAid 3.5-cup food processor is the smallest of the units, making it ideal for those who only cook for one or two people. Its small size also makes it easy to store when not in use. DWYM Kitchen Experts plus Good Housekeeping, BestReviews, New York Times Wirecutter. Along with user reviews from Amazon, Best Buy, Target and Walmart.
" The compact KitchenAid 3.5 Cup Mini Food Processor is a great pick for little kitchens, dorm rooms or those who tend to make small portions." "The lid is awkward to take off, put on, and tighten securely." Although it's limited in the types of foods it can handle, the Oster Pro can expertly crush coffee beans and ice. It's also among the easiest to clean of all the food processors, with a removable blade and a dishwasher-friendly bowl. 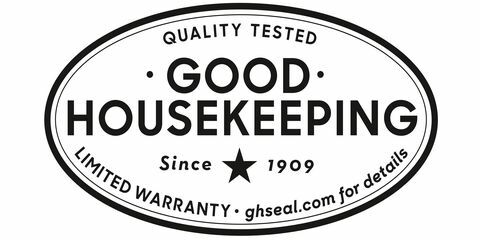 DWYM Kitchen Experts plus Good Housekeeping, Consumer Reports. Along with user reviews from Amazon, Walmart and Target.
" The Oster's blender jar is dishwasher safe and the blade is removable, which makes for easy cleaning." "Attachment to a blender, can not be sold separately"
We identified the majority of the food processors available to purchase. 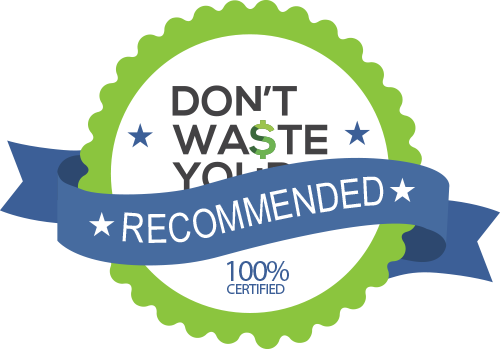 Reviews from our DWYM category experts and analysis of some of the most respected sources including: Consumer Reports, Good Housekeeping, Tech Gear Lab, BestReviews, New York Times Wirecutter. This is one of the best food processors due to how easily it reduces food to a fully processed state. This 16-cup food processor from Breville tops our Ratings behind superb slicing, shredding, and grating. The top model, the Breville does a phenomenal job at chopping, mixing, and shredding while still doing a great job at pureeing and slicing. But it's more than just a pretty face — in GHRI tests, it handily chopped, minced, sliced, ground, julienned, and kneaded. This is the machine you want if you plan to use it several times a week or need a tough motor when cooking for large groups. The king of all food processors. Designed for power, efficiency, and user satisfaction. However, the power of the motor and design of the shredding disk moved with such power that it practically mashed the cheddar into a paste rather than into finely-cut shreds. Standing 18 inches tall, it is larger than most food processor, plus the container for its various blades and accessories will take up additional storage space. There weren't any areas where this machine noticeably fell flat, with its only major drawback being its higher price. It's heavy, though, so plan on keeping this multitasker on your counter. It’s over twice the price of our main pick, and it’s more powerful (and much bigger) than most people need. The blades sit quite close to the bottom of the bowl, which adds to its processing efficiency, particularly when incorporating dough or sauce ingredients. This model performed very good in our slicing tests of celery and mushrooms. It scored above average in every single one of our rating metrics, doing a particularly good job at pureeing and slicing. Its simple, pared-down design makes it easier to use and clean than models with more settings or multiple bowls, and we found it to be built more solidly than other processors at this price range. Enormous food chute. Comes with a variety of user-friendly blades and accessories. The only issues we found with uniformity were that the occasional slice of mushroom or potato was slightly thinner than the rest of the processed results. It would shoot flour out while mixing, failing to incorporate it and making dough that was a little less consistent than the KitchenAid models. The Cuisinart Custom’s three-year limited warranty (five years on the motor) isn’t the best among the models we tested but is still pretty good. Heavier than cheaper models, but for most consumers, it still fits on the counter top. Why spend hours chopping vegetables when you can use a food processor to do it? Some recipes specifically call for a food processor, which makes it an essential part of every chef’s kitchen. But like many appliances, food processors range in price and capacity, which can make choosing one tough. Fortunately, there are a few things you can look for while you’re shopping that will make it easier. The largest food processors can handle as much as 14 cups of food and liquid, making them perfect for those who cook for large groups. If not, though, as nice as it may be to have that capacity just in case you might need it someday, it might be worth considering a much smaller unit. The larger food processors are not only bulky, but they’re also heavy, making them tough to store when not in use. A smaller-capacity food processor, on the other hand, can only handle up to a few cups of contents, which limits the recipes you can tackle. Even if you only cook for one or two people, or you live in a small space, check into the foods you’ll want to make before you choose one of those models. On top of capacity, you should also pay close attention to the types of foods each processor can handle. If you plan to use your food processor to knead bread, for instance, you’ll need not only a unit with a larger bowl but one that has the accessories to tackle that task. The Cuisinart and Breville, although large and expensive, will manage the widest variety of tasks with ease. You may think of food processors as a great way to dice food and knead bread. But today’s food processors can handle a wide range of additional tasks, including grinding up bread to make bread crumbs, pureeing fruits, grinding meat and making delicious milkshakes. You can also pulverize nuts for any recipes that call for chopped nuts. 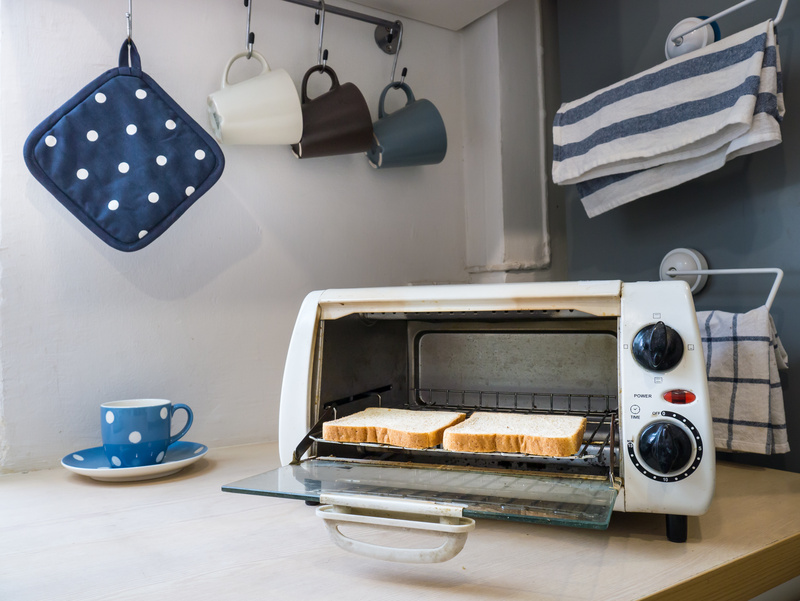 Although it does take up room in your likely already overcrowded kitchen, it can replace multiple utensils, including a whisk, pastry cutter, knives, grater and garlic press. You’ll likely even find you’re attempting recipes that would otherwise be too time-consuming if you relied on manually chopping or shredding. Today’s food processors can do amazing things. Not only can they chop and slice, but they can also grate cheese and knead bread. Finding a food processor that can chop while also keeping items crisp and fresh can be challenging, though. The Breville is one of the best at slicing, shredding and grating, but the Cuisinart is efficient as well. With the Cuisinart, the blades sit close to the bottom of the bowl, making it best for processing dough and sauces. The Oster does a good job grinding coffee beans and ice but fails when blending milkshakes. One differentiating factor in food processors is capacity. If you regularly cook for large groups, you may want to focus on a 14-cup powerhouse like the Breville or Cuisinart. The KitchenAid, on the other hand, has only a 3.5-cup bowl, making it better suited for those who cook small portions or live in small spaces, like dorm rooms. Once you’re finished slicing and dicing, it’s time to clean your food processor. The Cuisinart has the easiest-to-clean build, thanks to its simple design. The Oster is also worth considering, since it’s dishwasher safe, and you can remove the blade to clean it, as well. The increased capacity of the Breville and Cuisinart models gets reflected in the price. The Breville is the most expensive, selling for more than $300. The Cuisinart, while also boasting a high capacity, retails for about half that amount. Both the KitchenAid and the Oster retail for less than $100, making them far more budget-friendly. If you’re planning to tuck your food processor away in a cabinet when you aren’t using it, weight and size are worth considering. The Breville and Cuisinart are the heaviest, at 26 and 18 pounds respectively. That weight, combined with their larger size, makes them better suited for dedicated counter space. The Oster may be smaller, but it’s still quite heavy, at 13.45 pounds. The KitchenAid is best for storing, at only 2.7 pounds. One of the best things about the Cuisinart is its accessories. In addition to an enormous food chute, you’ll also get a medium slicing disc, shredding disc, chopping/mixing blade, spatula and recipe book. The KitchenAid, on the other hand, only comes with one multipurpose chopping blade, which doesn’t work well with items like tomatoes. With most of the food processors, putting the unit together is fairly straightforward. But the Cuisinart is a bit more complicated, with disc assembly requiring extra effort. For the Food Processor category, we analyzed 54 of the most popular reviews including reviews from Consumer Reports, Good Housekeeping, Tech Gear Lab, BestReviews, New York Times Wirecutter, Top Ten Reviews and more. The result is a ranking of the best Food Processors.